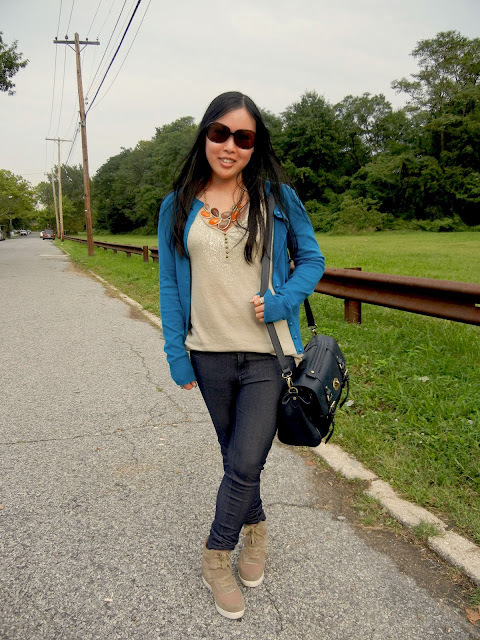 During that week, I was able to take two outfit photos. I, of course, had my trusty Handbag Heaven satchel that held everything I needed that week in addition to my favorite Prada shades. What's your go-to look for fashion week? I definitely understand about being comfortable at Fashion Week. There's so much standing around etc that I couldn't wear heels for that long. I love the first outfit. Those shoes look so cool. The first look where did you get them shoes?!?! Both outfits are adorable, but the second one is my favorite. It's more my style. :) I love your necklace with the first outfit though. Gorgeous! love the bag! i can see how trusty it is!! You look so tall in that second look! I love it. These are both such fun, stylish looks--perfect for fashion week! 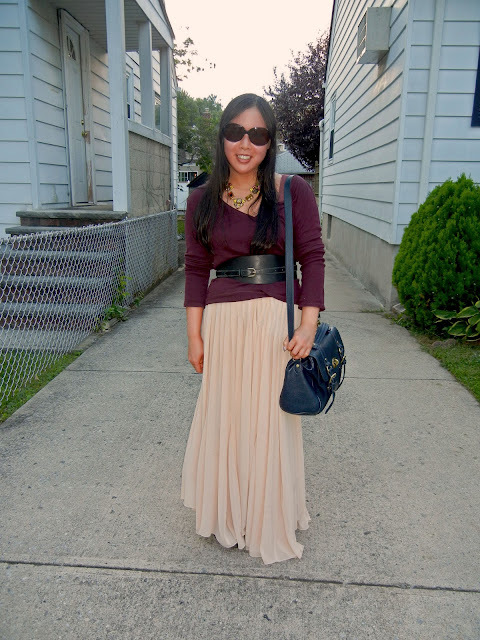 I love the colors in the second look, and the contrast of the flowy skirt and sleek belt. Gorgeous! Love the second look because the belted skirt is awesome.